IPL 2019 kicks off with CSK taking on SRH on the 23rd of March in M.A Chidambaram Stadium, Tamil Nadu. 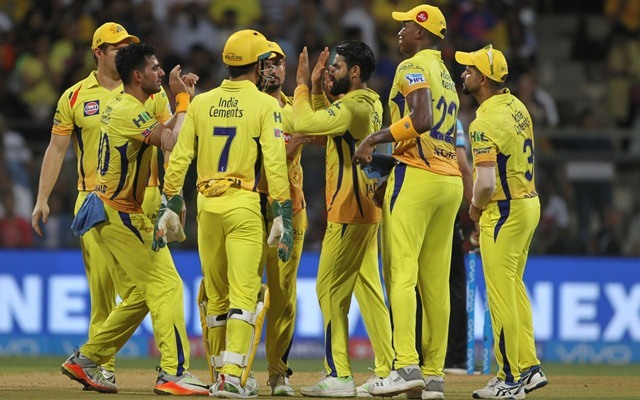 Current champions Chennai Super Kings will open the 2019 IPL season where they will be up against Sun Risers Hyderabad on the 23rd of March in M.A Chidambaram Stadium, Tamil Nadu. The final is due to take place on the 12th May in the Wankhede Stadium Mumbai. Defending champions Chennai Super Kings are current 9/2 second favourites with the team they beat in the final Hyderabad Sunrisers 4/1 to go one step further than last season. Mumbai Indians are in at 5/1 and will be out to claim their title back after giving it up last season in what some will say was without much of a fight. Kolkata Knight Riders are 11/2 to get their name on the IPL trophy. Royal Challengers Bangalore are also in at 11/2 to be crowned 2019 champions. You can see more odds at betopin.com on their betting exchange site. Rajasthan Royal forked out £940,000 on Indian bowler Jaydev Unadkat to add that bit more to their attack. Kings XI Punjab splashed out £940,000 on top Indian all-rounder Varun Chakravarthy, along with England’s all-rounder Sam Curren for £800,000. South African batsman Colin Ingram was snapped up by Delhi Capitals for no less than £715,000 in the aim for him to bring his magic to Delhi. 30-year-old West Indian all-rounder Carlos Brathwaite is on his way to Kings Raiders for £560,000. Some of the top names went unsold at this seasons auction, with the likes of English batsman Alex Hales, Sri Lankan all-rounder Anglo Mathews and Australian bowler James Patterson going unsold. Only Mumbai Indians have won the IPL more than once in the last 5 years where they captured it in 2015 and 2017. Kolkata Knight Riders last won it back in 2014 and Sunrisers Hyderabad winning the 2016 version and then we have the current holders Chennai Super Kings. This seasons IPL season looks as competitive as ever, but I would be willing to put up Hyderabad Sunrisers as my pick. They were beaten in 2018 final by 8 wickets when the Chennai Super Kings came out on top.